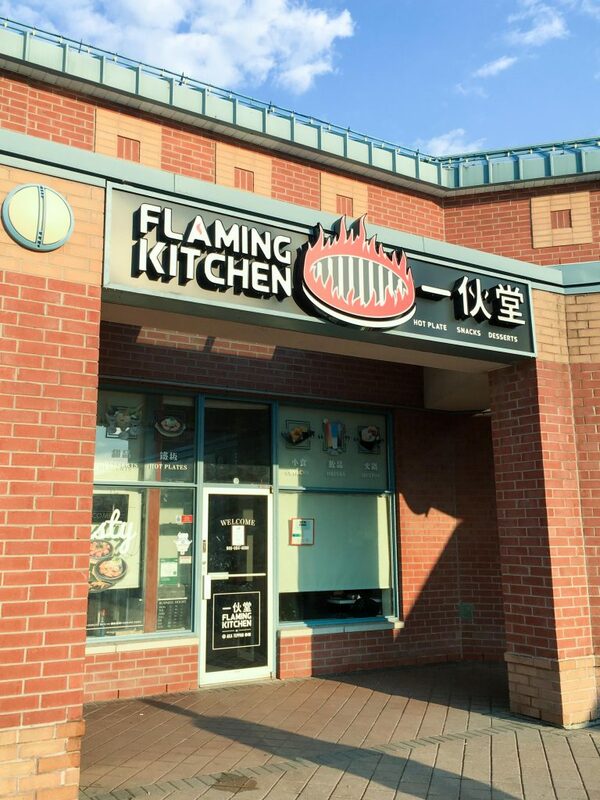 Flaming Kitchen is located in First Markham Place and serves personal hotplate meals. The concept is from Pepper Lunch in Japan. Hot metal plates that are heated to 500 degrees Fahrenheit. raw meat with vegetables and/or rice are then placed on the plates, where they cook in front of the customer. The meat can be eaten rare or well done, depending on the customer’s preference. 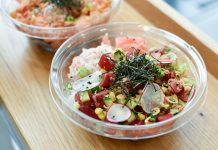 The restaurant is located in the same location as Aka Teppan before and they have had a complete rebranding. 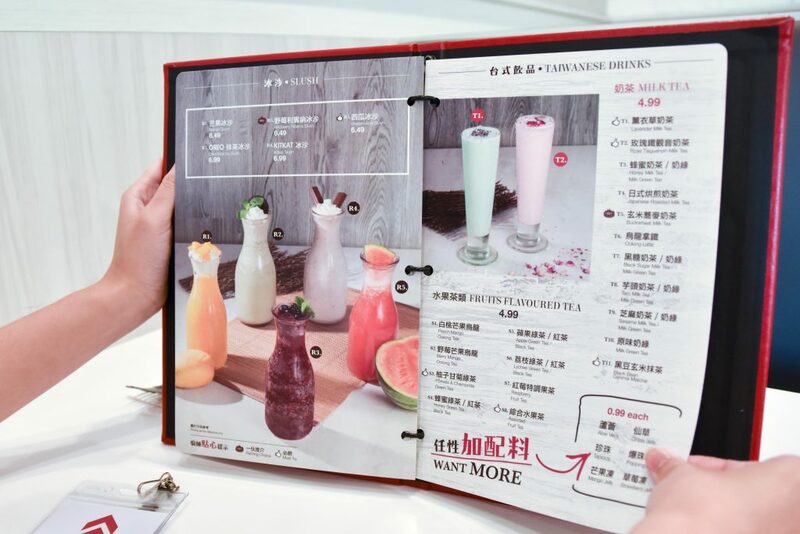 The menu was revemped with lots more dessert additions, with over 15 pages of food ranging from snacks, hot plates, dessert, and bubble tea drinks. 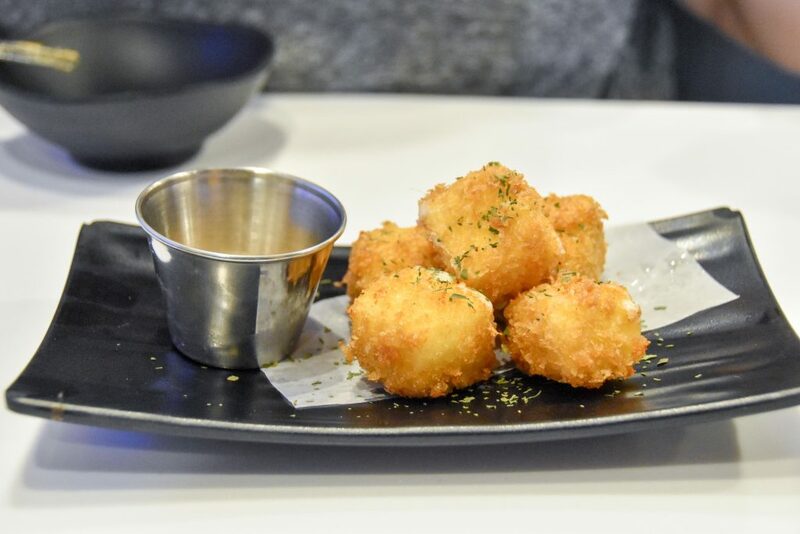 We tried a variety of appetizers which are mostly fried. 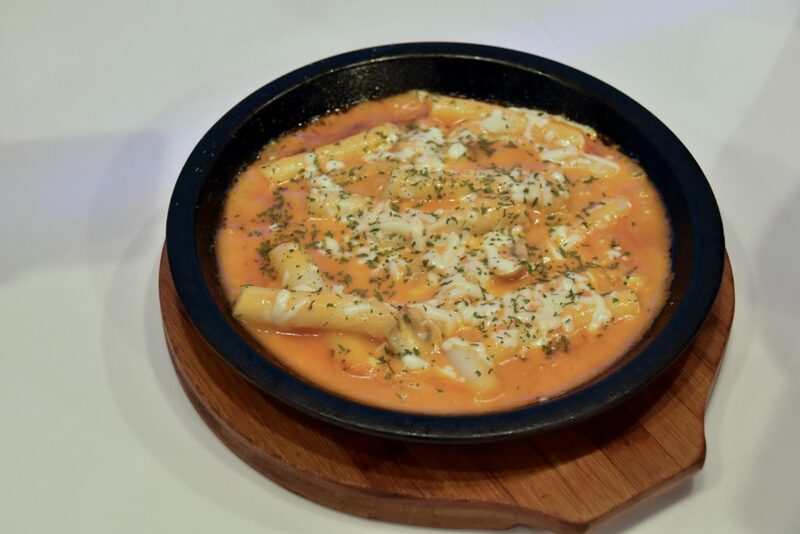 Flaming Kitchen is quite generous with the portion of their appetitizer so it is best to be shared among a few persons. 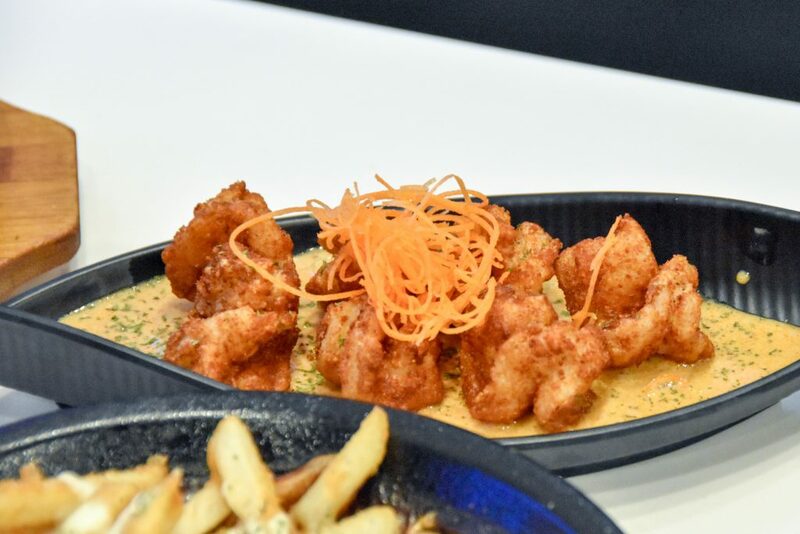 Curry Fries is made with Japanese curry served on a hotplate. 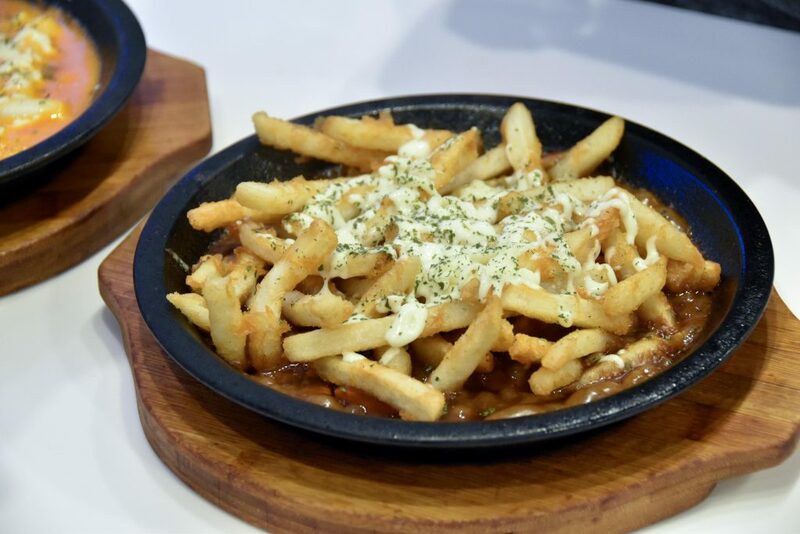 We love Japanese curry and their sweet and spicy flavor, and it goes perfectly well with the fries. Tom Yum Shrimp were lightly crisp and were really plump in texture. The tom yum sauce was flavourful but and gives a spicy kick. 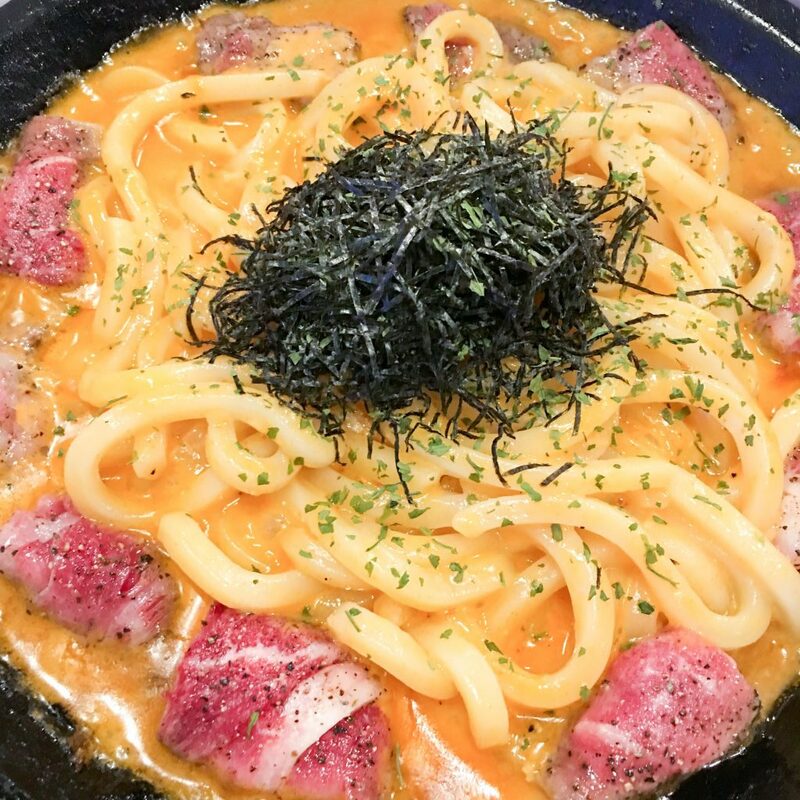 Spicy Mentaiko Beef Udon is an interesting twist on Japanese udon. The udon texture was done perfectly with the right amount of cheesy sauce and a bit of spice from the mentaiko. It is also very satisfying to see the beef cooked on the hot plate right in front of you. 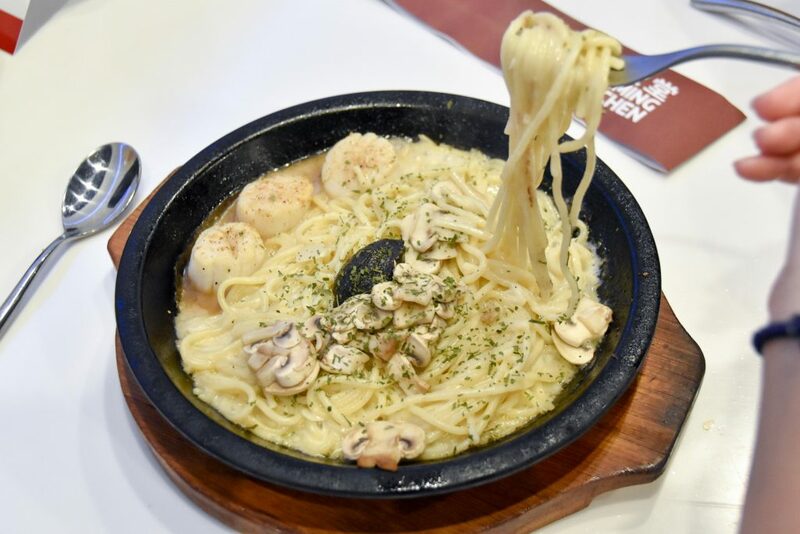 Jumbo Scallop Spaghetti with Truffle Cream Sauce has a very rich sauce and also very strong truffle flavor. The scallop is really jumbo in size and blend in well with the spaghetti. 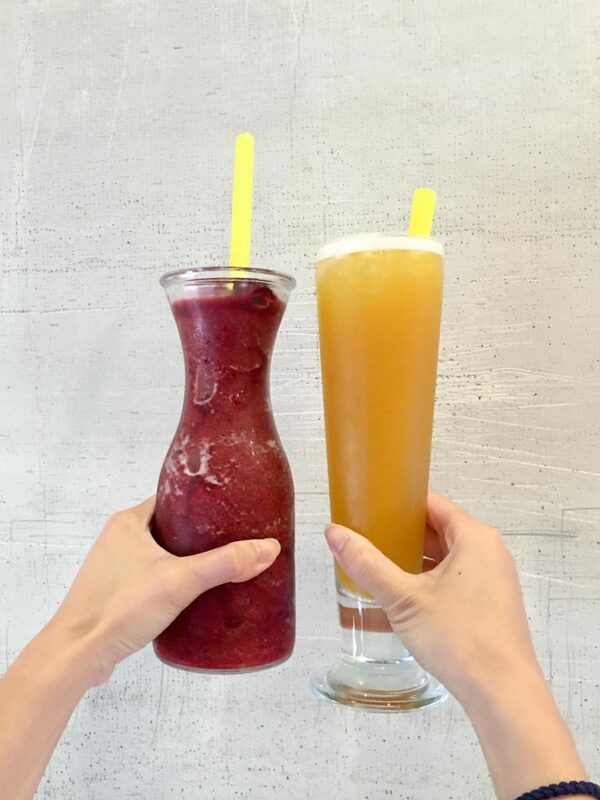 In the revemped menu there are also lots of desserts and drinks. 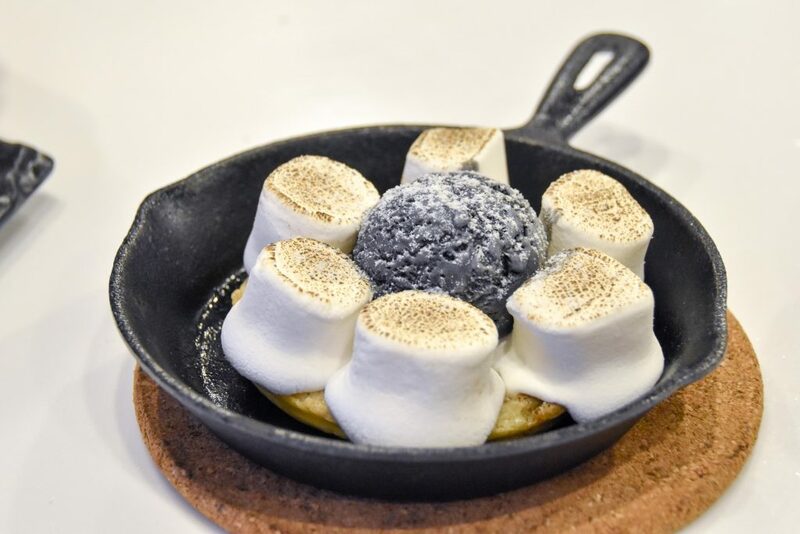 We tasted the Panna Cotta and Sizzling Marshmallow Waffle. The waffle was very cute since it is served on a small metal pan and definitely very Instagrammable. 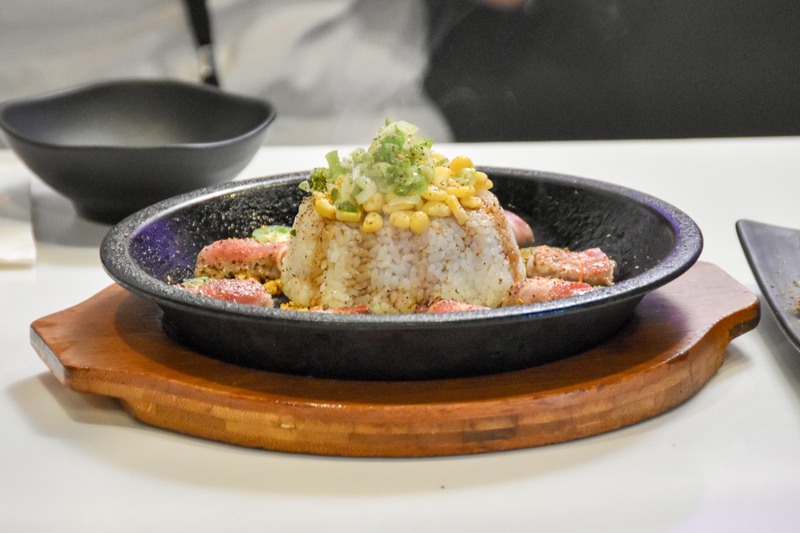 Overall we enjoyed Flaming Kitchen and would come back for more sizzling hot plates. Thanks once again to @DkLoEvents for the invite!